With much excitement we are proud to announce that SNS will now be offering late season cow elk hunts at one of our most popular camps. This hunt will offer all the amenities of Hunt #3, but will be a quicker hunt, and more economical. After driving to our camp each hunter will meet their guide and their horse that will be accompanying them for the following 3 days. You will be served a hot dinner and set up in your sleeping quarters for the night. 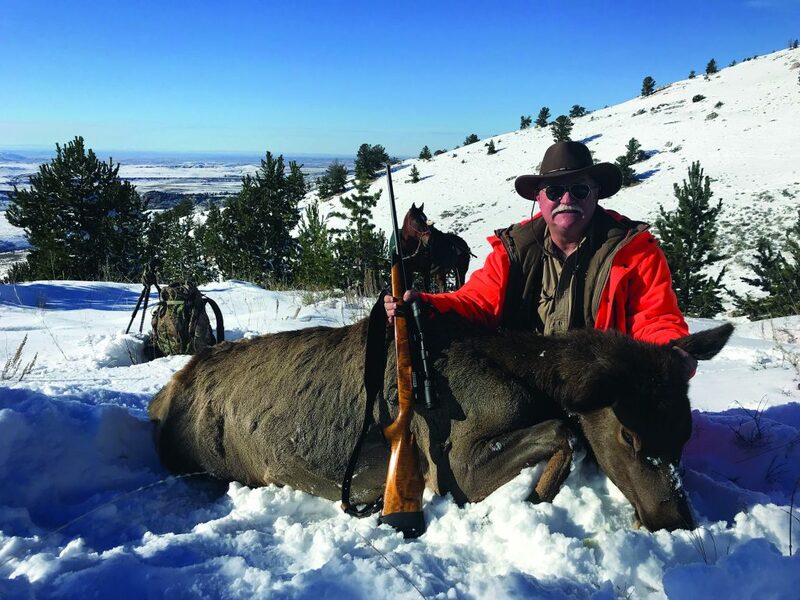 The following 3 days you will experience a horseback elk hunt in the Big Horn Mountain range. When your tag is filled our expert guides will field dress your cow, bone it out, and have it ready for you to take home in your personal coolers. One of the biggest benefits of this hunt is that it is a guaranteed tag. There is no draw required in the area we hunt as there are many leftover tags available. Harvesting a large bull is always a wonderful experience, but one of the best parts of the hunt is going home with a freezer full of high quality, organic, grass fed meat that in the end is much more financially conservative than going to the grocery store weekly. Another benefit of joining us on this late season hunt is that the cows are much easier to hunt and find during this time of year than bull elk. They tend to group up into big herds and stay that way for the remainder of the hunting season. 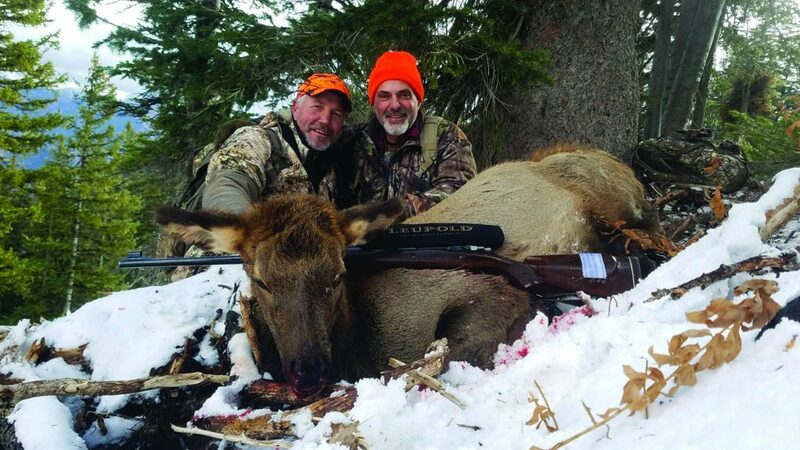 As conservationists the most vital benefit to hunting cow elk is that it’s an important game management practice. 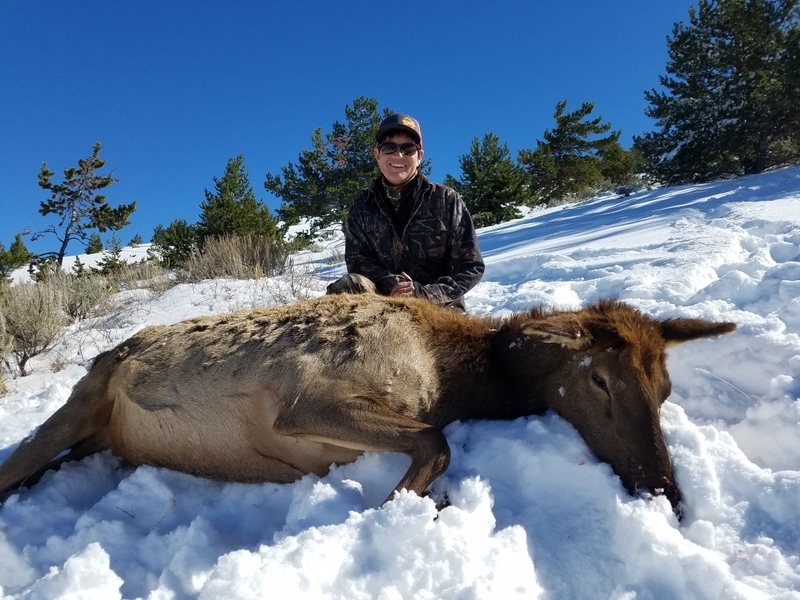 Wyoming uses cow elk hunting as the primary method to control herd numbers. Our elk herds in most of Wyoming have reached their carrying capacity therefore controlling cow numbers is essential to a healthy herd. On top of all these reasons, this late season gives you one more reason to be out hunting and enjoying all that Wyoming has to offer. For more questions about the late season cow tag contact us by clicking here or calling us at 307.266.4229. If you would like more information on any of our hunts, request a free brochure here. We hope to see you in Wyoming this fall!